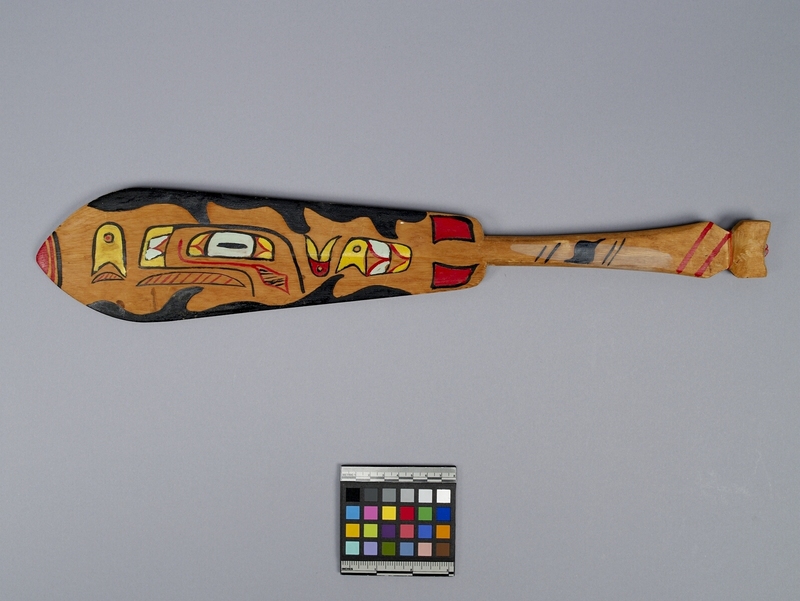 Item number 1432/2 from the MOA: University of British Columbia. 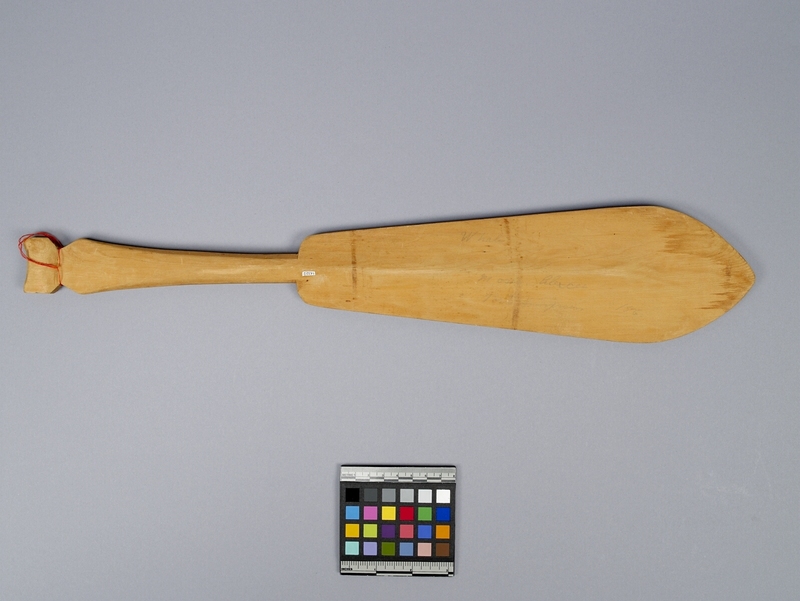 A brown wooden model paddle painted on one side with black waves along the edges and a yellow, red, blue, and black design. The handle has one double diagonal red hatch marks near the end and a curvy blue parallelogram in between two double diagonal blue hatch marks.